AddThis is installed on 14 million domains, and sees over 100 million share events every month by 1.3 billion unique visitors per month. AddThis tools were loading over a trillion times last year! So, we have a huge amount of data about how people share across the web. When a user lands on your page, we know which services they’ve shared to before, even if they’re visiting your page for the first time. In turn, by default, the Share Layer shows visitors the services they’re most familiar with. By showing them the services they know, they’re more likely to engage with your page. We’ve seen an increase in engagement of almost 60% by showing users the services they’re more likely to use. We’re sure you know what your users want, but think about those who have never been to your site. For instance, let’s say one of your pages gets very popular in The Netherlands. The top social network there isn’t Facebook, Twitter, or Google+. It’s called Hyves. If you’re only showing the top U.S. services, these users will have to dig through our sharing menu to find Hyves, which means more of them will give up on the share and go somewhere else. By insisting on using only U.S. social networks you would be missing out on a whole new customer base. The other problem is having too many buttons. You could include all the sharing services, but finding the service the customer wants to use would be very hard for you. Personalization lets AddThis do the work of figuring out which services to show while effectively having them all available to show users based on their preferences. (By the way, AddThis supports over 300 social networks.) 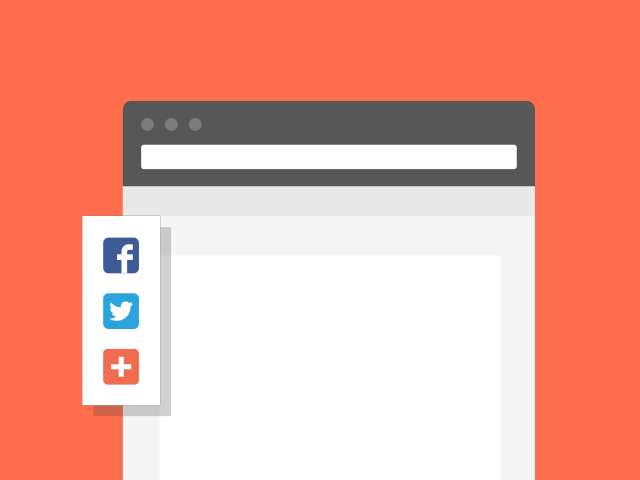 So even if you’ve never heard of it, your users can use it to share your content. So when you’re testing your site on multiple browsers, and the Share Layer buttons keep changing, it’s ok. It’s just AddThis working behind the scenes to make sure your visitors are seeing exactly the right services at the right time.